What does the Killie Trust do? The Killie Trust aims to promote, develop and support Kilmarnock Football Club and sport within the community. Any business or projects carried out by the Trust will be conducted for the benefit of the Community and not for the profit of its members. What is the make up of the Killie Trust? The Trust is run by a Board of 11 directors on behalf of its members. A list of directors can be found HERE They serve for a three-year term and are elected at the AGM by Trust members. The current Directors have a wide range of skills and experience and are employed in the Public, Private and Voluntary Sectors. What is Trust in Killie (TIK)? Trust in Killie is an initiative by the Trust - fully supported by the Board of Kilmarnock Football Club - to initially purchase 100,000 newly issued shares. This target was reached in just over a year with some of the funds coming from an anonymous donor which will be paid back in full. The trust has now identified Cathy Jamieson as their first Supporter Director. TIK aims to work with the club in a constructive manner to ensure that KFC not only survives but thrives in the future. The Trust wants to get involved with our Club in a truly meaningful manner; a full directorship provides that platform. What is the KFC board view on the Trust in Killie initiative? The Killie Trust has been negotiating with the KFC board for a number of years now and they are fully supportive of our initiative and recognise that this is a sensible direction to move in. TIK would welcome any investment to the club and an increased, effective board is something we all would welcome. TIK does, however, ensure that there is someone who has a meaningful and trusted relationship with the fans and the club. An important element which up until recently has been missing. How much will I need to contribute? Up until May 2018 all the contributions have gone toward our target of purchasing 100,000 unallocated (new) shares. Now that this has been achieved we will continue to purchase shares on a regular basis. By purchasing unallocated shares we can ensure that the monies raised benefit the football club. It is anticipated that the Trust and the Club will work together to identify projects which fans will support. How much do we need to raise / is there a minimum number of members we need? Our initial target was £100,000 which allowed the Trust to purchase the shares required to have an elected director on the board. However, this is not the end but only the beginning. We will continue to raise funds to buy unallocated shares to ensure that fans can have a say in the running of the Club. The more fans who join TIK, the louder our collective voice will be, and it will establish a vital revenue stream for the club on an ongoing basis. Do I need to be a Trust member to support TIK? You do not need to be a Trust member to participate, but by joining the Trust you will have a say in who represents you on the board and be able to take part in any votes to decide on the future direction of the Trust as well as how any funds will be spent. How can I join the Trust? Go to the Killie Trust website sign up page HERE and use our GoCardless system to pay your membership. As GoCardless does not yet cover some geographical locations, we have alternative links on the sign up pages to PayPal options (which we prefer not to use due to the heavy fees involved). How will my contact and bank details be protected? We are making use of a system called GoCardless which processes all the transactions and stores only the information required. GoCardless is a BACS-approved bureau therefore your data and your money are completely safe and secure. The funds are held in a dedicated business account with the Bank of Scotland and are ring fenced. Payments are also subject to a Direct Debit Guarantee, offering you complete peace of mind. The Trust bank account is controlled solely by responsible individuals, nominated by the board. Control and audit mechanisms are in place and are presented to the members on an annual basis for agreement at our AGM. How can I change my contact / bank details? Contact GoCardless on 02071 838 674. Will I become a shareholder in Kilmarnock FC if I join TIK? No, any shares purchased will be held in the name of the Trust who will hold those shares for the benefit of all supporters and the community. This means that the Trust has a stronger voice by holding a larger number of shares rather than individual fans holding small amounts. By holding shares in the name of the Trust we are able to have a Director on the Board and help to identify future projects. Do I have to commit for a set period of time or can I stop contributing at any time? We would want contributors to participate for as long as possible. 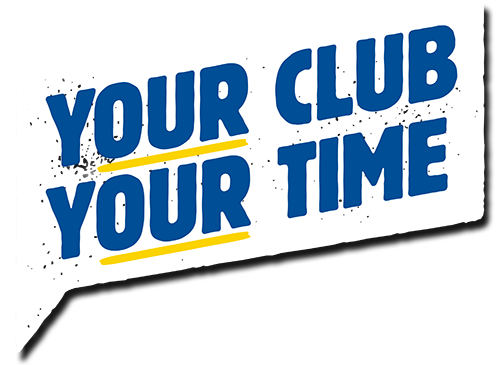 This initiative is about safeguarding the club for future generations and strengthening supporter representation where it really matters. Continued contributions will ensure that we continue to grow our stake in the football club on an ongoing basis. What benefits will TiK have for the fans / what influence will they have? The most important reward we achieve through our continued contribution to TIK is having our voice heard at the decision-making table. Nothing beats that! However, as further reward the Trust, in conjunction with the Club, will put together a rewards scheme based on an individual's financial input via the 3 band structure over a 12 month period. If contributors are also members of the Trust, they will be able to participate in elections to either stand for the Trust Board or the post of our representative Director on the Club Board (if they meet the criteria) or vote in any elections, funding decisions or the future direction of the Trust organised by the Trust Board. Can I pay in more or less than the advertised bands? PayPal allows you to commit to any monthly figure or one off donation, but only those who contribute to the 3 recognised bands on a monthly basis will be eligible for any rewards or prize draws. Donations which differ from the advertised amounts are also possible but will not be entered into any draws. 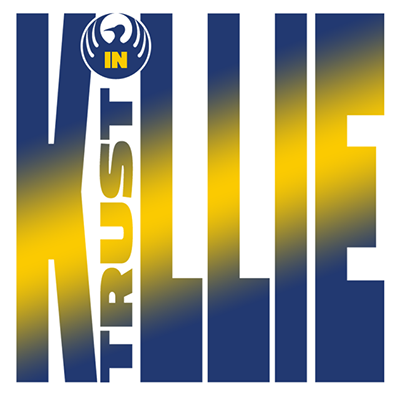 If you have any questions, please contact the Administrator for information and advice on how you can support ‘Trust in Killie’ at a manageable level for you. The Trust also has volunteering opportunities if you cannot afford financial donations. How will this make a difference to how the Club is currently being run? This initiative aims to safeguard the long-term future of the Club for generations to come. Whoever is nominated as our Director at any given time will bring their own skills, experience and knowledge to enhance the Club Board. Is the aim 100% fan ownership? The long-term aim of the Trust is not 100% fan ownership. We believe that our club should be fan owned but not fan run. For our Club to be truly integrated into the community it must have a mixture of supporters and local stakeholders involved in the club’s ownership. Our long-term goal is to own 50% + 1 of our Club’s shares to put it in the hands of the people who care for it the most and safeguard our Club for future generations. We want our club to be run by the right mix of local people who have the love of the Club and the local community as the sole reason for their involvement, where every penny of profit is reinvested. How will our Club Director be chosen / do they need any special qualifications? Cathy Jamieson was initially identified by the Trust Board and appointed by the Club Board in June 2018. It has been agreed that Cathy and the Club Board will take some time to settle in. With that in mind, the post of TIK Club Director will next be eligible for election at the Trust AGM in 2019. For clarity, Cathy will be eligible for re-election subject to the support of the Trust Board. From this point, the TIK Club Director will be elected at the Trust AGM by members. It is envisioned that they will be a member of the Trust, have completed any training courses deemed necessary, meet the requirements of the person specification and be someone who can add real value to the club and therefore the fans. What responsibilities / rights will the TIK Club Director have? The TIK Club Director will have the same rights and responsibilities as other directors on the Club Board and will be bound by the Code of Conduct for Directors. Their responsibilities are to represent a body of people rather than themselves as an individual. Therefore, the TIK Club Director will be required to act professionally with the current board, the people they represent and have the club's interests at heart rather than their personal interests. How will the our Club Director communicate with fans? Our Club Director will have regular meetings during the season with the members of the Trust and will attend all Trust Board meetings. Any board member of any company is bound to act with the required professionalism and respect matters which are sensitive / confidential. In a similar vein, the TIK Club Director will have to respect the confidentiality of Trust matters. It works both ways. How will their performance be measured? The director’s performance will be assessed every year to ensure it is meeting the objectives that have been set by the membership. The TIK Club Director will have to report to the Trust AGM every year, where they will be eligible for re-election.